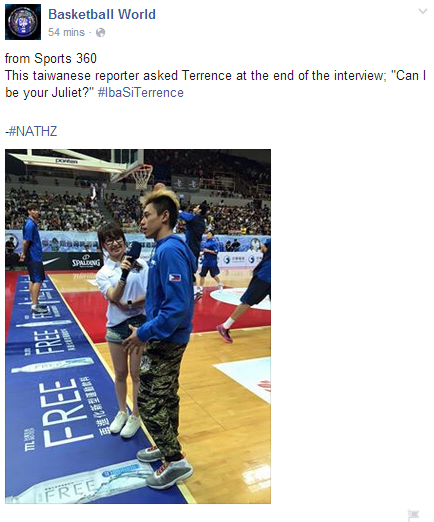 Taiwanese Reporter Has a Crush on Terrence Romeo, Read it Here! Despite not playing due to an injured foot, Gilas Pilipinas guard Terrence Romeo got the admiration of the charming Taiwanese reporter. During his interview after Gilas' 92-88 Overtime win against New Zealand, a female reporter asked him, "Can I be your Juliet?"